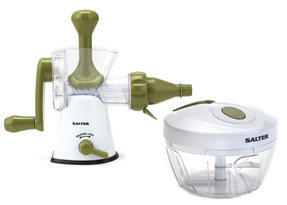 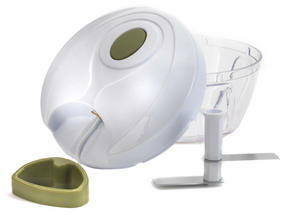 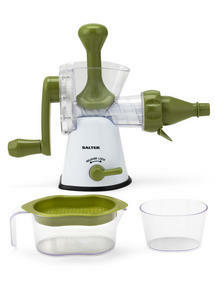 Enjoy easier food preparation with this two piece Salter prep set featuring a mini chopper and a manual juicer. 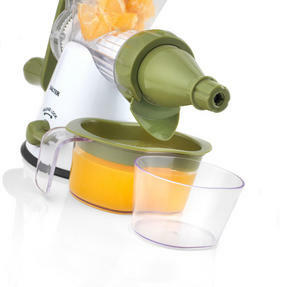 The hand-crank juicer is a fast way to make delicious juice packed with nutrients, and is brilliantly easy to use, paired with the pusher tool so you can enjoy fresh juice with minimal effort. 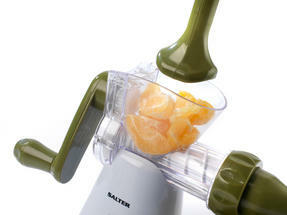 The mini chopper is ideal for chopping fruit and vegetables with no mess and has a unique pull cord design to control the stainless steel blades in order to fully slice the food with ease. Prepare fruit and vegetables quickly and efficiently with this two piece Salter mini chopper and manual hand-crank juicer set. Place fruit and vegetables such as onions into the mini chopper bowl and use the pull cord to operate the stainless steel blades. 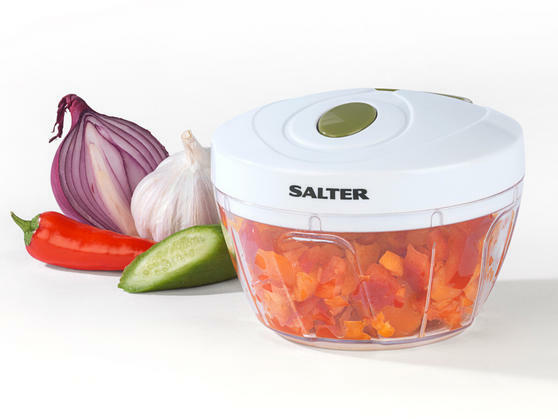 The chopper measures 12.5l x 12.5w x 9h cm and is easy to use, making it faster and safer than a traditional knife and chopping board. 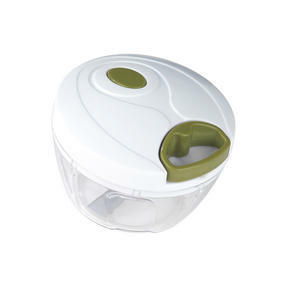 Measuring 36.8l x 12.6w x 21.6h cm, the juicer separates pulp and dispenses juice through the spout into the included 400 ml jug. A pusher is included, so you can place fresh fruit inside and gently press it towards the spindle as you turn the crank to make juice.